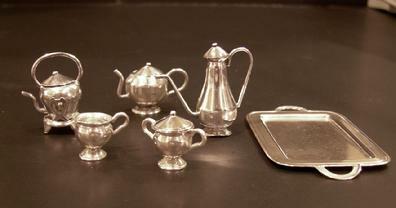 Elegant Vintage Sterling Silver 10 Piece Miniature Teaset - 1940- comprising a Handled Tray (3" x 1 1/2"), One Tilting Teakettle on a Warming Stand (1"), Second Teapot ( 3/4"), a Coffee Pot (1 1/4"), a Sugar Bowl ( 5/8"), a Creamer ( 1/2"), and Four Matching Lids. All original, one owner. 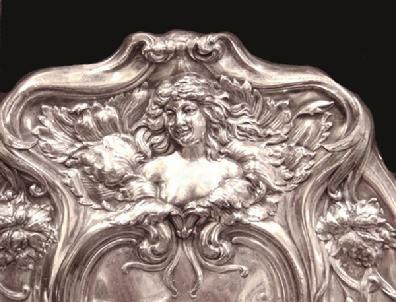 Exquisite detail and quality. Condition: Very Very Good with minor scratches that would be commensurate with age and use; the neck of the tall coffee pot has a very very tiny dent which covers when the lid is placed on it. Marked Sterling. 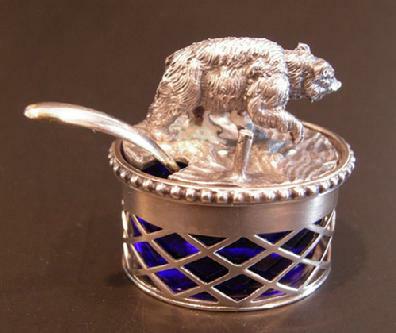 Beautiful Vintage Italian Sterling Silver Figural Covered Salt or Saccharin Container with Serving Spoon - of oval form, the pierced sides with beaded rim, revealing the blue glass container, the top centered with a fierce Bear standing on three legs, the fur and features well-defined. 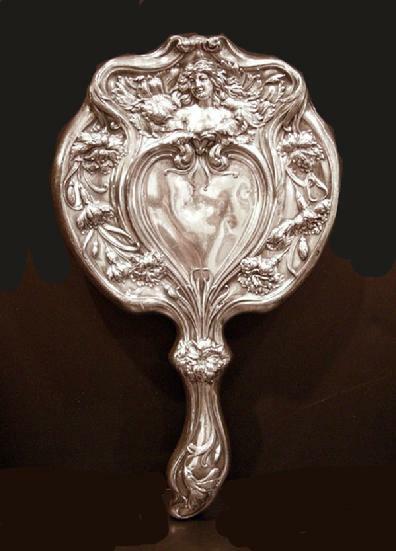 The base is marked Pinci Roma, 800 in an oval, the maker's mark with the silversmith's number 276 MI in a lozenge with cut sides; the top marked 800 in an oval; the spoon marked 800 in an oval, the silversmith's number 276 MI in a lozenge with cut sides. Condition: Excellent with a some very minor scratches that would be commensurate with age and gentle use. 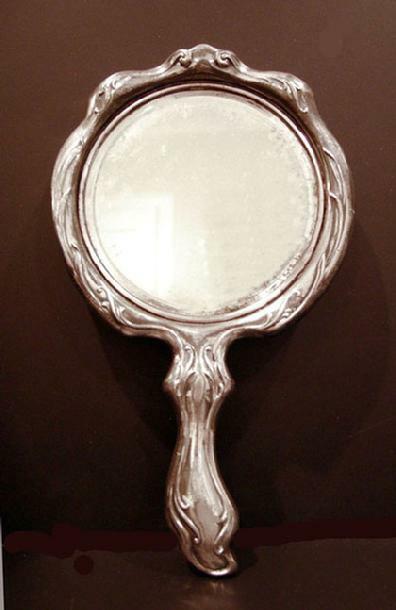 Beautiful Art Nouveau Silverplate Repousse Hand Mirror - c. 1900, with beveled glass, heavily decorated in typical Art Nouveau Style with a very delicate female face with flowing hair, and exquisite floral detailing surrounding a heart-shaped cartouche. 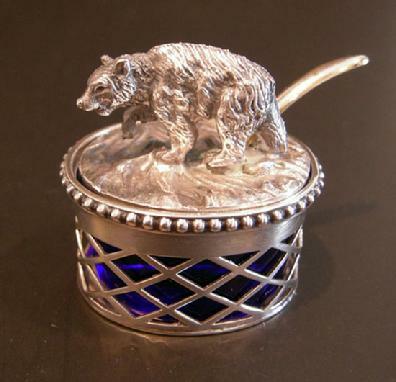 Unmarked., but believed to have been made by Derby Silver Co., Birmingham, CT. Condition: Several dents present, some wear to silverplate, and mirror has some discoloration, all commensurate with use and age. 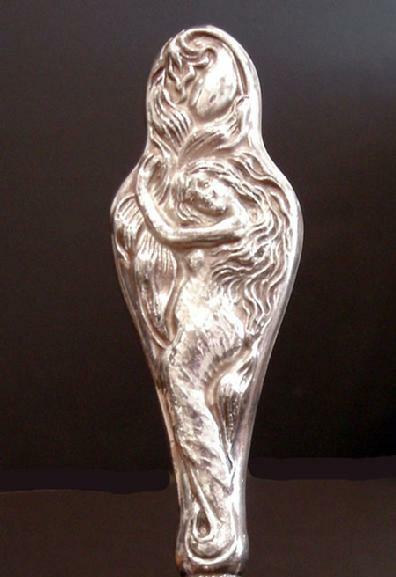 BEAUTIFUL ART NOUVEAU FIGURAL SILVERPLATE MANICURE IMPLEMENT - A Classical Female Figure draped in a swirling robe with long flowing hair embracing what may be a large flowery stalk; with delicate features and excellent workmanship; the reverse identical. Unmarked. 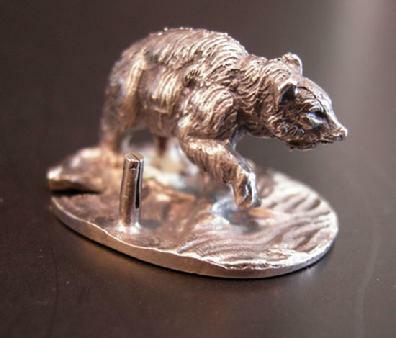 Condition: The tip has the tiniest piece missing on one side, and some minor scratches that would be consistent with age and use, otherwise very good. All her features are delicate and well-detailed with excellent workmanship. 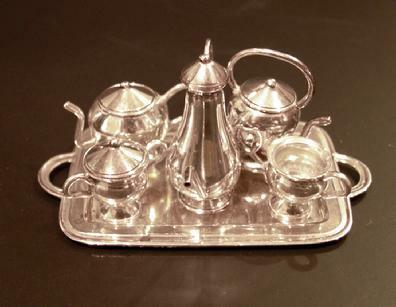 As with any silverplate, it may need polish from time to time; Unmarked.